Pet friendly units! Fireplaces! Community Fire pit! and more…. Welcome to the new and improved Maple Lodge Cabins! Located in the White Mountains of NH slightly off the beaten path, minutes from Loon Mountain, Pemi River and both downtown’s of Lincoln & North Woodstock NH. Maple Lodge Cabins offers cozy cabins with wood burning fireplaces, cottages and updated motel rooms and a friendly environment. 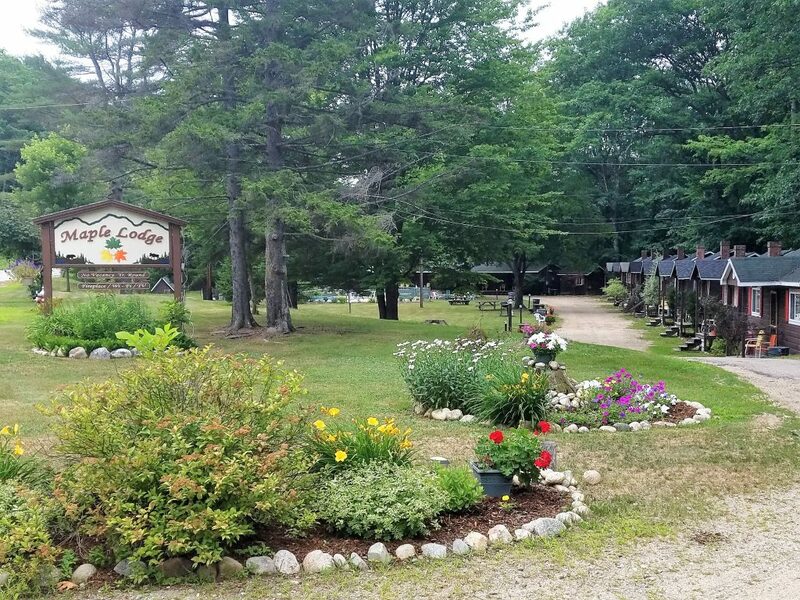 Our adorable little cabins line the dirt drive as the pines & maples shield you from the main road and have front porches that overlook our lush green yard sprinkled with picnic tables and grills, volley ball, bocci court and a heated pool! All units have a full bath or half bath, and come with beds made and towels for your stay. Whether you are 2 looking for a romantic getaway or a group planning a gathering; this is a place where memories are made. We do Community Fire pit and more…. Come stay with us! We’d love to have you! Now offering 3 pet friendly units!